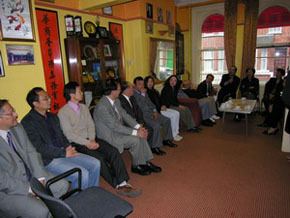 In the afternoon of 27 May 2007, Ambassador Fu Ying met with representatives of main Chinese communities in Northern Ireland. Fu Ying expressed solicitude to the safety of overseas Chinese. Fu said China cares for the safety and well-being of overseas Chinese all along. She congratulated the overseas Chinese on their great achievements made in Northern Ireland, which helps China to build up a good international image, and she is looking forward to their greater achievements. The Chinese Embassy in the UK will do its best to help overseas Chinese and support them to contribute to the development of their motherland. Fu Ying introduced the achievements of China's reform and opening up and related policies to the overseas Chinese in Northern Ireland and expresses thankfulness for their support and dedication on behalf of China. She pointed out that the traditional culture of "harmony" has been deeply rooted in the spirit of Chinese nation after thousand of years of accretion and development and became the basic feature and important value orientation of Chinese civilization. The Chinese communities in Northern Ireland played an important role in improving the well-being of overseas Chinese, promoting cultural exchange and cooperation as well as pushing forward the bilateral relations. She hoped the Chinese communities in Northern Ireland will care for and support each other, propose the idea of harmony and forge the spirit of harmony so as to make joint efforts to build a harmonious, win-win, united, friendly and dynamic society of Chinese nationals and Chinese diaspora. 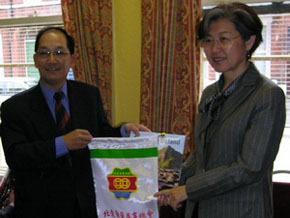 Fu Ying elaborated on the issues of common concerns to the overseas Chinese in Northern Ireland, including setting up consulate in Northern Ireland, facilitating personnel exchange, combating corruption, food safety, Chinese education, policy on investment in China, provisions on passport and visa, consular protection and dual nationality, etc. There are nearly 10,000 overseas Chinese in Northern Ireland, primarily in Belfast. 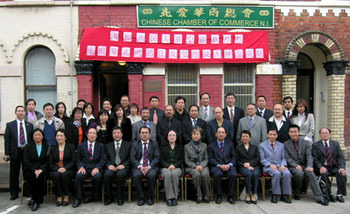 Chinese Chamber of Commerce of Northern Ireland and Chinese Association of Northern Ireland are the two largest Chinese organizations. · It takes time, perseverance and patience to bridge gap of understanding between East and West.